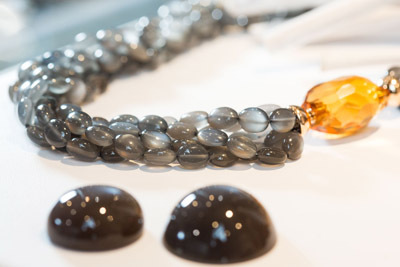 Idar-Oberstein – It is the pioneering business platform for the worldwide gemstone community. “The unique expertise of the Intergem is based on an outstanding concentration of internationally-renowned companies, specialists and institutions in the immediate area,” declares the fair’s Managing Director, Kai-Uwe Hille. Amongst other features, the fair, which is held this year from 30 September to 3 October, underscores this position with an informative and exciting support and trade programme. For example, there is the Living Legends exhibition, in which internationally-renowned local artists such as Manfred Wild, Tom Munsteiner and Helmut Wolf display their masterpieces. Another presentation, entitled ‘Gemstone Carving’, places a spotlight on the art of the engraver. They too are masters of a craft for which Idar-Oberstein enjoys a worldwide reputation. A further example of the importance of Idar-Oberstein and the fair as its calling card is the “Forum Design”, where jewellery and gemstone designers display their visions. In addition, experts at the Intergem provide interested visitors with pioneering know-how and practice-oriented solutions for all questions regarding the processing, evaluation and marketing of gemstones. For example, the Deutsche Gemmologische Gesellschaft – German gemmological society – is staging a workshop on the “Practical recognition of synthetic diamonds”. Because distinguishing between synthetic stones and diamonds is one of the major challenges facing the diamond sector at this time. 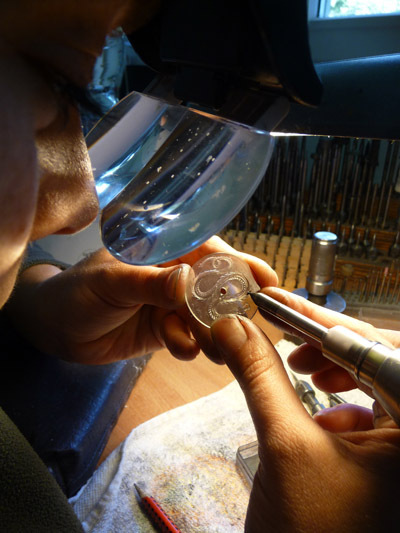 The gemmological examination is based on several stages, involving microscopy, UV luminescence and spectroscopy. These methods, together with table-top devices developed specifically to employ them, are presented exclusively at the Intergem 2016. 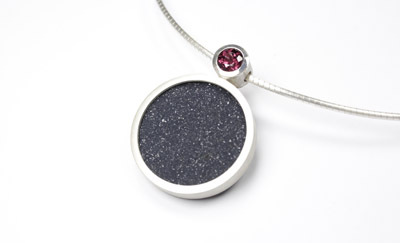 The centre of excellence at the show also features exciting themes, including Nsaio6 – new jewellery from Idar-Oberstein. 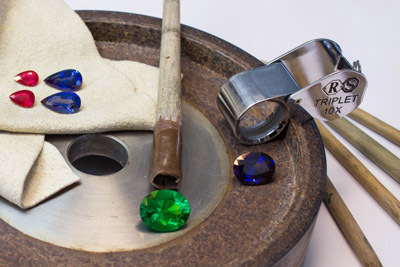 Under this motto gemstone and jewellery students and graduates at the Idar-Oberstein campus of the Trier University of Applied Sciences present selected works at the Intergem to mark the 30th anniversary of the course. On the stand of BBS Technik Harald-Fissler-Schule Idar-Oberstein third year goldsmith apprentices present their latest pieces, under the motto “A trade in hand finds gold in every land”. Above all, however, the Intergem remains a fair where leading cutters and traders can offer exclusive gemstones that are scarcely available on the world market. “This density of beautiful and scarce items is certainly unique,” says Kai-Uwe Hille. 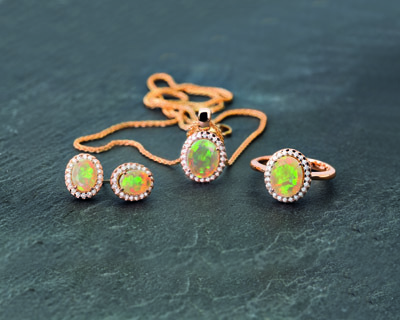 “I don’t know of any other event in Europe that offers such a concentration of rare, high-quality gemstones and gemstone jewellery.” One focal point this year is the range of Paraibas, a much-sought-after tourmaline variety that is becoming increasingly hard to find – but which is included in the ranges of numerous exhibitors. The support programme at this year’s Intergem also focuses on the Paraiba tourmaline. Dr. Claudio Milisenda, Managing Director of the German Foundation for Gemstone Research (DSEF), will present a paper on the Paraiba tourmaline and use a spectrometer to reveal the copper that gives the stone its attractive colour. A new, vibrant focal point will. The 5th Inhorgenta Trendfactory in London. The Intergem 2018 drew to a. In mid-September, the international trade fair. This showcase of craftmanship in Idar-Oberstein. The Idar-Oberstein speciality fair for gemstones,. Over four days, Inhorgenta Munich has.